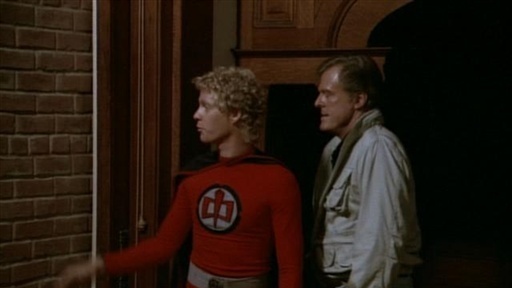 This week’s installment of The Greatest American Hero allows me to revisit an episode I hadn’t seen since I was a kid, which freaked me out at the time. Juanita Bartlett writes The Beast in the Black, which aired 9 December, 1981 and brought our heroes into spooky territory, or at least it was to a 10-year-old when I watched it oh-so-long-ago. Ralph (William Katt) and the kids have been given permission to remove items from an old house and sell them to raise money for a class gift. Unfortunately, there is something evil going on there. It seems Ralph can see a room with a woman in front of a fireplace that no one else can, and this self-same woman takes possession of Bill (Robert Culp) when a chandelier momentarily leaves him dead, allowing the spirit to piggyback her way in. We can tell when Bill is possessed because his brown eyes turn blue, and we hear her voice instead of his. To save Bill, Ralph has to travel to the ‘other side’ confront the Beast in the Black to expel the woman’s spirit and then return his friend to the land of the living, all without the help of the jammies. While as a kid the idea of ghosts and beasts (those red eyes especially) were sufficient to freak me out, the idea of someone you’re close to is no longer someone you can trust or recognize, despite appearing to be the person you’ve always know n is truly frightening. There’s an episode of Quantum Leap that does the same thing to me! 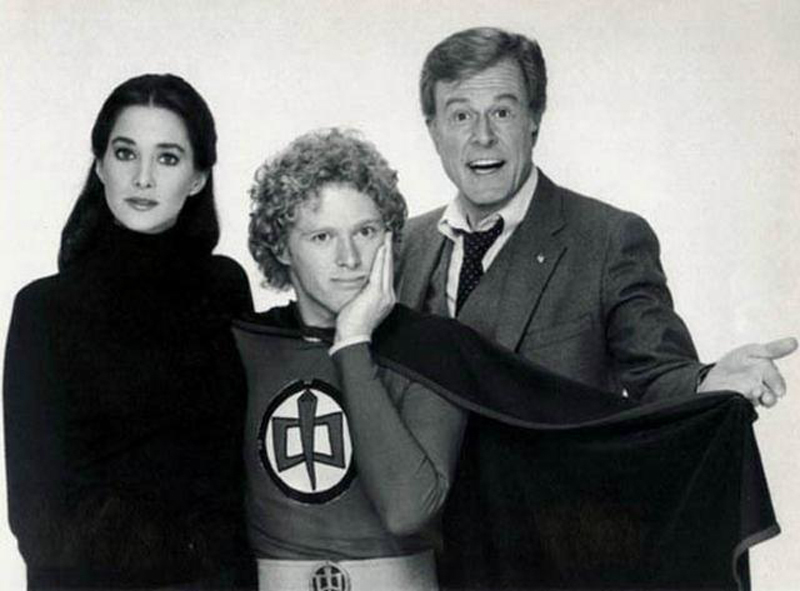 The Lost Diablo which aired 16 December, 1981 and was penned by Bartlett again, is probably the weakest of the episodes I’ve come across so far in the series. Bill persuades Ralph, Pam (Connie Sellecca) and the kids to head out into the desert to do some panhandling for gold, and then after verbally securing their agreement that he would get 75% of the profits from a map, if there were a map, he reveals… he has a map, to a long lost gold mine. Unfortunately, they aren’t the only ones out there, but these hillbilly types wait until after the kids have been trapped in a cave-in, then rescued by Ralph, and do all the hard work of gathering up the gold they’ve found before making their grab. Coming way too late in the show to pose a real threat, you know Ralph and Bill will handle them in moments, because that’s all that’s left of the episode, and then there’s a final denouement that could have played stronger if this episode didn’t feel so slapdash in the first place. Still, if this is the only episode so far that I didn’t care for, the series is doing well so far in my book. And I will be looking forward to more high-flying adventure with them next week!